Amazon.com founder Jeff Bezos, the world's richest man, on Wednesday (Jan 9) announced his split from his wife MacKenzie, after 25 years of marriage. The couple said in a statement on Twitter that they shared "such a great life together as a married couple", and "though the labels might be different, we remain a family, and we remain cherished friends". Thanks to his stake in Amazon, Mr Bezos, 54, has an estimated net worth of US$137 billion (S$185 billion) and topped Forbes' list last year of the richest Americans and the list of billionaires worldwide. 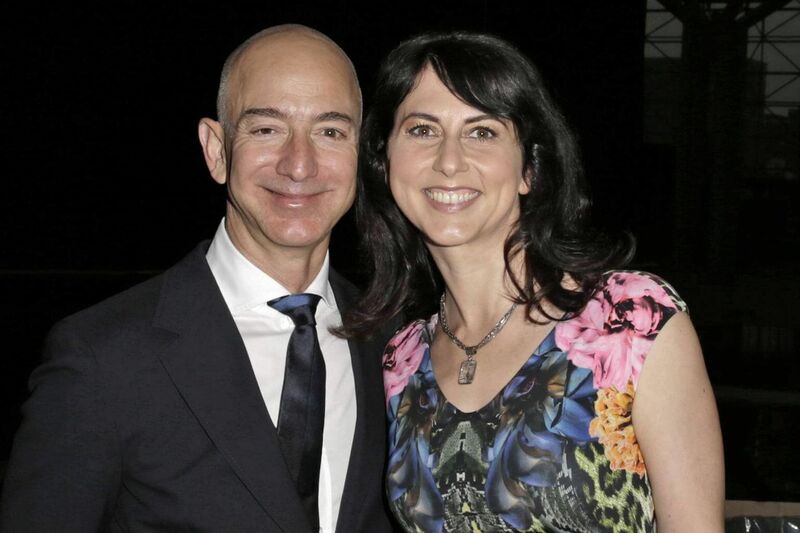 Mr Bezos has often credited Mrs Bezos, 48, for her support when he founded Amazon, which grew from an online bookseller to one of the world's largest retailers. She was there in the company's early years, when Mr Bezos was drafting Amazon's business plan, even as she pursued her dream of being an author. Here are eight things you should know about Mrs Bezos. 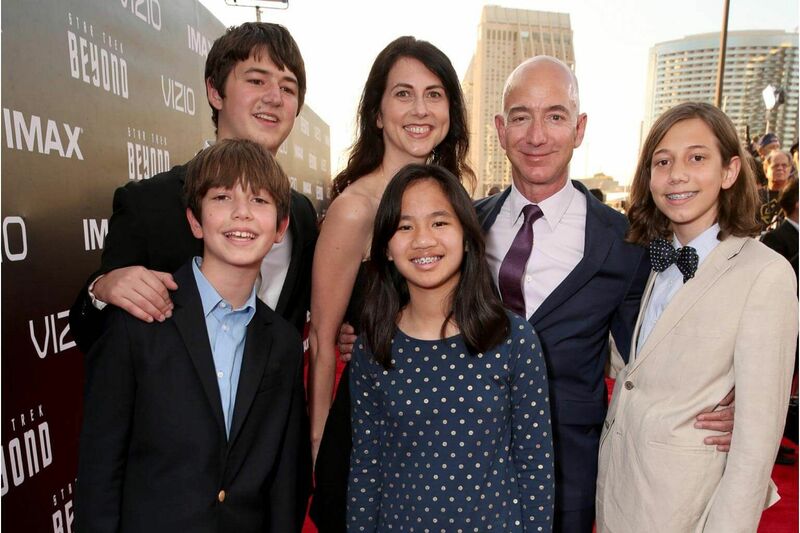 Mrs Bezos grew up in San Francisco as the daughter of a financial planner and a housewife. She studied English at Princeton University, where she was an assistant to American novelist and Pulitzer Prize winner Toni Morrison. 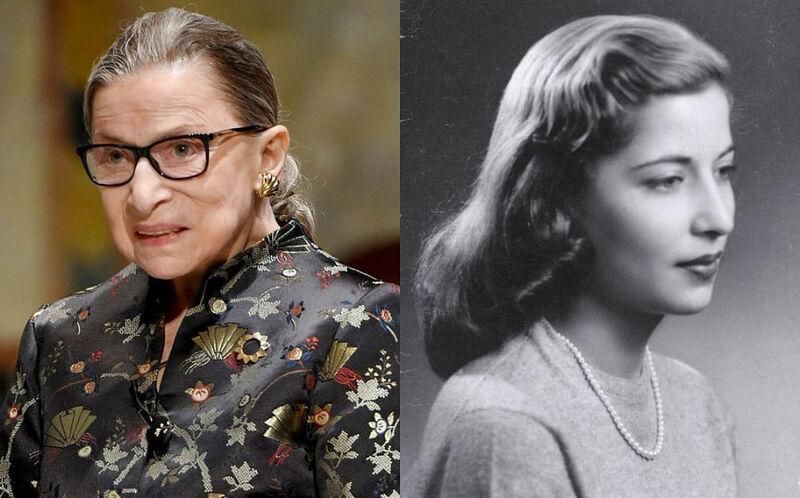 It took her a decade before she published her debut novel, The Testing Of Luther Albright, in 2005. The psychological thriller set in Sacramento, California, won the 2005 American Book Award, and it was described by the New York Times as "quietly absorbing". Her second book, Traps, is a tale of four women who meet on a road trip to Las Vegas. When Mrs Bezos was trying for a job at New York hedge fund D. E. Shaw & Co in 1993, the first person to interview her at the firm turned out to be Mr Bezos, who was then a senior vice-president. She got the job as a research associate. In a 2013 interview with Vogue magazine, she was quoted as saying: "My office was next door to his, and all day long, I listened to that fabulous laugh. "How could you not fall in love with that laugh?" Mrs Bezos, then 23 years old, told the magazine that she made the first move to woo her future husband by suggesting lunch. Within three months of their lunch date, the couple got engaged. And another three months later, they tied the knot. Shortly after, Mr Bezos began working on his idea of an online bookseller, and the young couple took the plunge by uprooting their lives in New York to move to Seattle. Mrs Bezos told Vogue in 2013: "I have no business sense whatsoever, but I saw how excited he was." According to a 1996 Wall Street Journal report, it was Mrs Bezos who drove them across the country in 1994, with their dog Kamala in tow. Mr Bezos was next to her "tapping out a business plan on his computer along the way", according to tech magazine Wired. The pair first lived in a one-bedroom rental in downtown Seattle. Mrs Bezos was considered one of Amazon's earliest employees when the firm was founded in 1994. She helped with the accounting in its first year. According to Wired, she was also responsible for negotiating Amazon's first freight contracts. Mr Bezos has always been outspoken about his wife's unwavering support during that period. "When you have loving and supportive people in your life, like MacKenzie, my parents, my grandfather, my grandmother, you end up being able to take risks," Mr Bezos had said. The couple have four children: three boys and an adopted girl from China. Mrs Bezos made headlines in November 2014 when she left a one-star review of The Everything Store: Jeff Bezos And Amazon, a book about her husband written by American author Brad Stone. She was among those who left scathing reviews on the book's Amazon site, claiming that the book had several factual errors, even as some 60 per cent gave it five stars. "I was there when he wrote the business plan, and I worked with him and many others represented in the converted garage, the basement warehouse closet, the barbecue-scented offices, the Christmas-rush distribution centres, and the door-desk filled conference rooms in the early years of Amazon's history," she wrote in the review. In 2004, Mrs Bezos started anti-bullying organisation Bystander Revolution, which has a website offering advice from students and even celebrities. As the executive director, she said that her goal was to spread "simple habits of kindness, courage, and inclusion". She wanted the website, which features videos and interviews, to be a resource for the average person to stop bullying. "No matter who you are or what you're facing, you can find personal stories, suggestions, and encouragement from someone who has dealt with a similar issue," the website said. 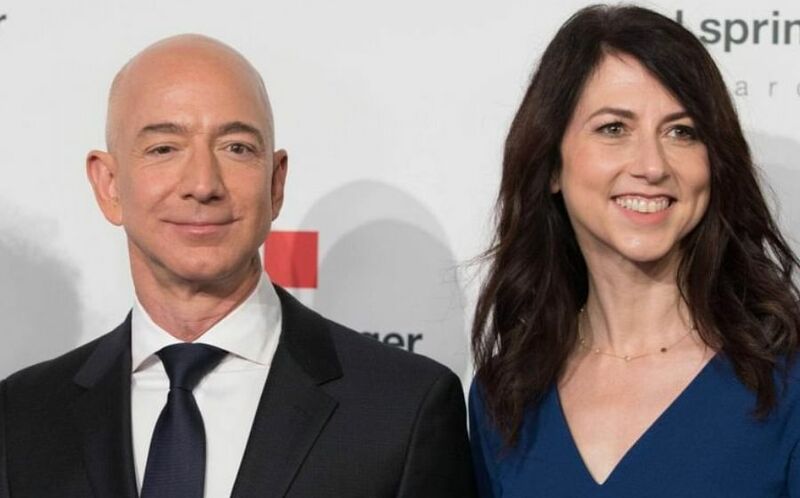 Together with her husband, Mrs Bezos launched the Day One Fund in 2018 to help homeless families and build pre-schools for low-income communities. Mrs Bezos could become the world's richest woman with the divorce, reported local and international news outlets. Washington DC divorce lawyer Sandy Ain told The Washington Post that the area where the Bezos family resides is a "common property" state, which means that all the assets and debts accumulated during their marriage would be divided equally. Mr Ain does not represent Mr Bezos or Mrs Bezos in their split, but has handled high-profile divorce cases among the rich in the past. With Mr Bezos being the richest person in the world, a 50/50 agreement would result in the biggest recorded divorce settlement, reported The Washington Post. This could mean that Mrs Bezos could walk away from the divorce with about US$66 billion, making her the richest woman in the world, according to CNBC. Currently, Ms Francoise Bettencourt Meyers, the granddaughter of the founder of cosmetics manufacturer L'Oreal, is the richest woman in the world, with a net worth of US$45.6 billion, according to the Bloomberg Billionaires Index, a ranking of the world's 500 richest people. However, a divorce lawyer told CNBC that a 50/50 split is unlikely, as Mr Bezos' wealth is tied to him continuing to have a controlling stake in Amazon. This also may not be the case if the couple have a pre- or post-nuptial agreement. The couple or Amazon have yet to comment on the likely division of their assets. Was she dumped for a former TV anchor? Soon after Mr Bezos and Mrs Bezos revealed their plan to divorce, new reports have suggested that Mr Bezos has been in a secret relationship with Ms Lauren Sanchez, a former TV anchor and the estranged wife of Hollywood talent mogul Patrick Whitesell. The New York Post's celebrity news site Page Six reported that Mr Bezos made the divorce announcement on Wednesday believing that photos of himself and Ms Sanchez could soon be made public. The report said that Mr Bezos got to know Ms Sanchez, a former anchor of television channel Fox's Good Day LA, through her soon-to-be former husband Mr Whitesell. He is considered one of Hollywood's most powerful men, as the agent to stars such as Matt Damon and Christian Bale. 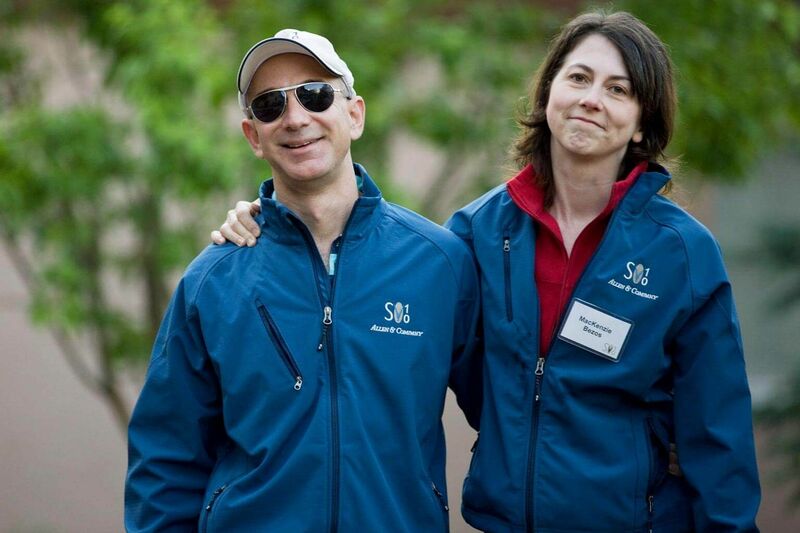 Mr Bezos and Ms Sanchez reportedly became closer after her separation from Mr Whitesell.